: Signature at Yishun has obtained TOP. Register with us for actual site sneak preview. 02-Apr-2017: Please see updated site plan and floor plans for more information. 06-Feb-2017: Woodlands Regional Centre to benefit many ECs including Signature at Yishun. 12-Jan-2017: Signature at Yishun location close to Central Expressway. 17-Nov-2016: Northpoint City is just a strong throw away from proud owner of Signature at Yishun. Signature at Yishun is a 99-years leasehold Executive Condominium development located at Yishun Street 51. With expected completion in May 2018, it comprises of 11 towers with 525 units and stands 12 storeys tall. It is just a stone throw away from Orchird Country Club as well as Yishun Stadium and a short drive away from the upcoming megamall Northpoint City. Future residents will be able to access the nearby eateries as well as Khatib MRT Station. It is also a accessible via the revamped Yishun Bus Interchange. Architect Design Link Architects Pte. Ltd.
Main Contractor Kimly Construction Pte. 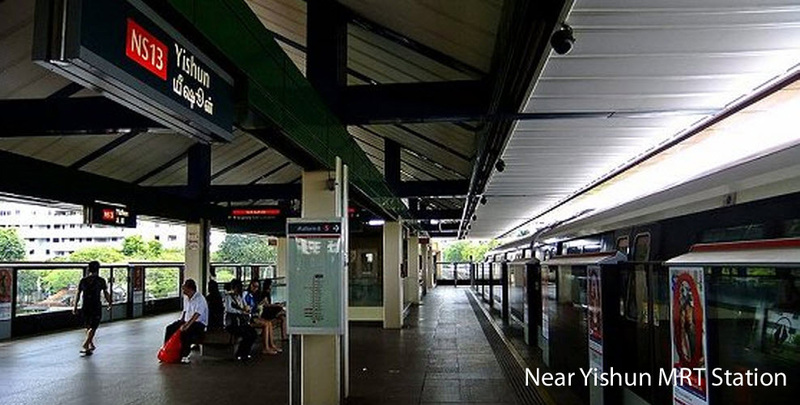 Ltd.
Several buses are available near Yishun along with shopping centers and restaurants. 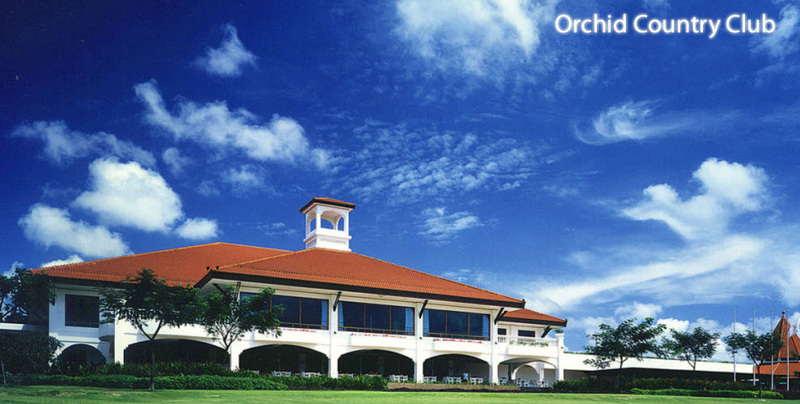 Signature at Yishun is also near to Orchid Country Club as well as the eateries at Yishun Reservior. Also, it is nearby the Woodlands Regional Centre. Entertainment for your loved ones and friends are therefore at your fingertips with the full condo facilities as well as the amenities near Signature at Yishun. The development should TOP around June 2017 and many buyers are looking forward to the key collection. For buyers looking at core city centre condos, please look at Sloane Residences by TSky Development (Tiong Seng Holdings and Ocean Sky International). Sloane Residences freehold condo is located at Balmoral Road. 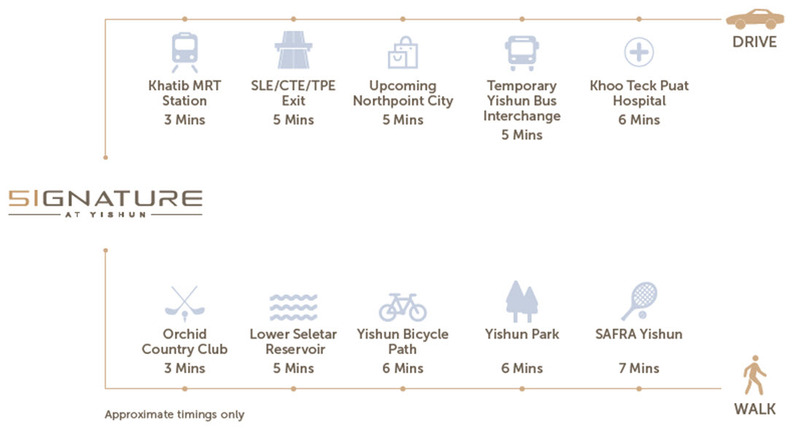 Signature at Yishun EC will be accessible via Khatib MRT station as well many of the buses along Yishun Ave. It is only a short drive away to Central Expressway (CTE). Accessibility is thus unparalleled for the owners of Signature at Yishun as well as for your family and friends visiting the development. 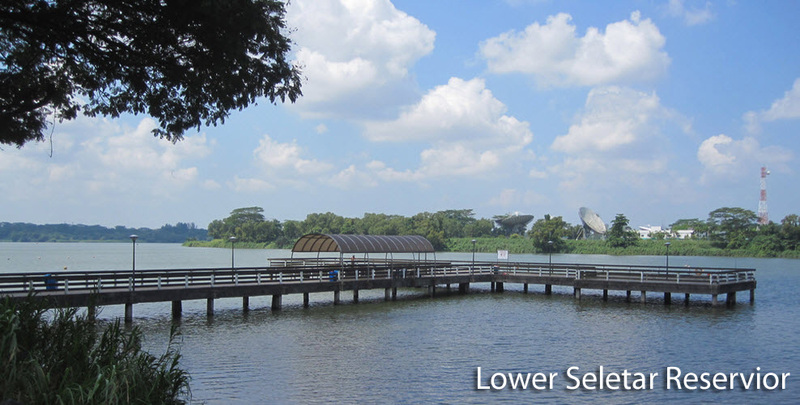 The development is also located near to Orchid Country Club as well as other recreational facilities along Seletar Reservoir. Please see Signature at Yishun site plan and floor plans for more information. Signature at Yishun pays tribute to Singapore’s independence at 50 years. 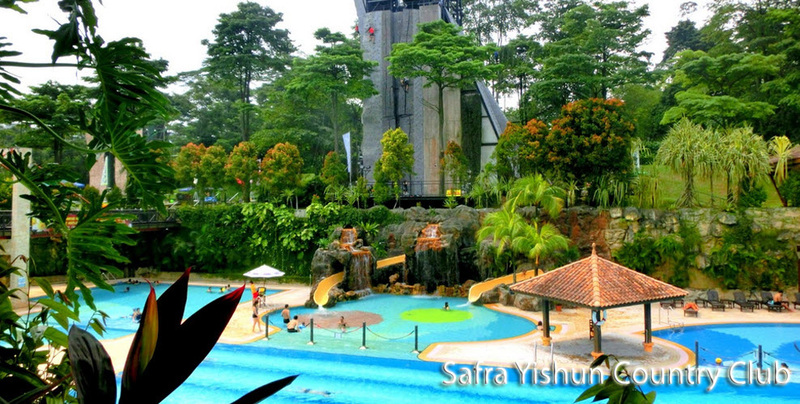 Signature at Yishun is located in the mature town of Yishun that has a rich cultural heritage. The EC pays tribute to Singapore in many of the designs and amenities of the rich heritage that we have achieved for the past 50 years. Many of the facilities make references to the images and elements in the past that will create a sense of community as well as heritage for the new and young owners of the development. this condominium , expanding and enriching the childhood experience. 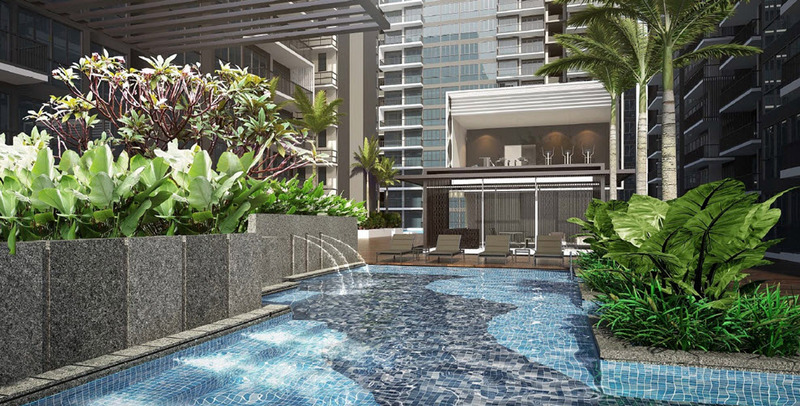 Signature at Yishun is just a few minutes walk away from Orchid Country Club where there will be plenty of amenities available for diverse age groups. Amenities for teenagers such as bowling, swimming as well as other activities are available. There is also a music place for young children available. For more entertainment, there is also a KTV lounge as well as a golf course available for residents near to Signature at Yishun EC. Residents at Yishun will find that traveling to Sengkang and Fernvale from Yishun will be much more convenient with the addition of a new highway Yishun Avenue 1 that will link Yishun to Seletar Airport directly. Signature at Yishun will be near to the upcoming North South Expressway that will link residents in Yishun, Admiralty, Woodlands and Gambas to the city. Traveling times will be reduced due to congestion building up at Central Expressway (CTE). The North South Corridor will be fully complete in 2023 and will connect to East Coast Parkway (ECP). 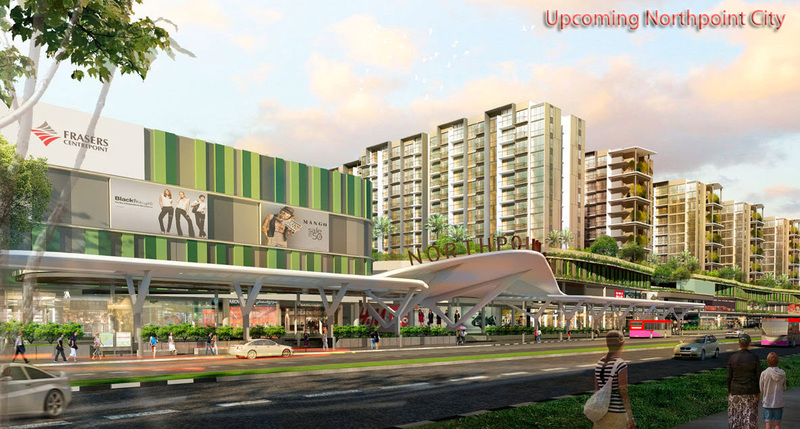 Signature at Yishun is situated close to Yishun Hub where there are major shopping centres such as North Point Shopping Centre as well as the upcoming Northpoint City which will connect directly to Yishun MRT Station as well as Yishun Bus Interchange. The 2 shopping centres serve as a must stop place for your daily shopping and necessities. There are also many anchor tenants located at the shopping centres as well. Signature at Yishun is also near elite schools such as Yishun Junior College as well as Singapore American School. It is also near to Chung Cheng High School as well as Naval Base Primary School. Signature EC is inspired by Yishun’s rich and cultural and natural heritage. It will have an iconic clubhouse that is designed with a classic pineapple monogram. The interior finishes are designed by Peter Tay who won the Designer of the Year, President’s Design Award 2014. He is famed for designing the homes of celebrities such as, Zhang Ziyi, Stephanie Sun, David Gan, among others. For vehicle owners, it takes less than 30 minutes to drive to the business hub and vibrant Orchard Road shopping district, via Pan-Island Expressway (PIE) or Ayer Rajah Expressway(AYE). Please see Park Colonial Heeton Holdings for more information with regards to the development. Park Colonial Condo is located at Woodleigh Lane by Chip Eng Seng. Haus on Handy CDL new development located at Plaza Singapura. Haus on Handy CDL is located in the core city centre near to the Orchard Shopping District. Van Holland Koh Brothers is a new condo located in the heart of Holland Village. Van Holland freehold condo is located just next to Holland Village MRT Station. 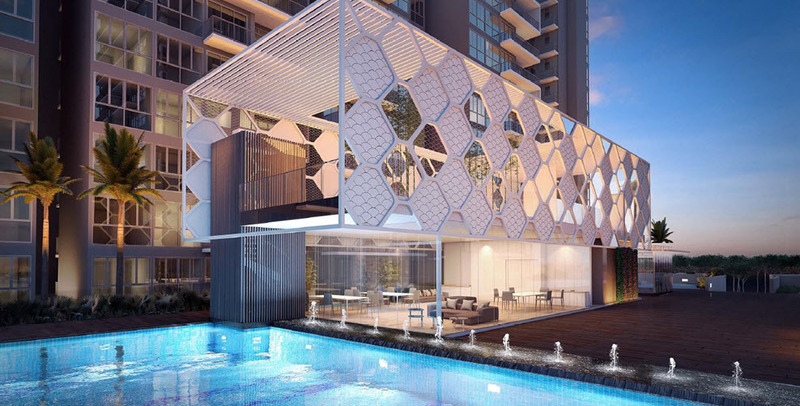 Jui Residences 1177 Serangoon Road by Selangor Dredging Berhad. Jui Residences will be launching soon and is a freehold development. The Antares Mattar Road new development at Mattar MRT Station. The Antares is located at Mattar MRT Station located near to Paya Lebar and Macpherson Estate. Please also see new development Fyve Derbyshire Roxy freehold condo located right in the heart of Novena. Fyve Derbyshire is a freehold development by Roxy Pacific Holdings. Allgreen Properties New Development Fourth Avenue Residences is located right in the heart of Bukit Timah. Allgreen Properties new development at Sixth Avenue MRT Station.